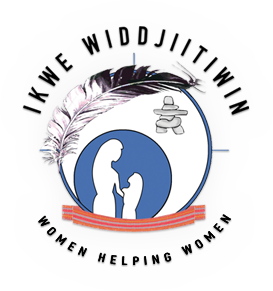 Welcome all supporters, consumers, friends and followers of Ikwe-Widdjiitiwin Inc. (“women helping women”) known simply as “Ikwe” to many people. I am so thrilled to announce the restoration of our website, a portal to the many resources available to help those experiencing intimate partner violence and family violence; and the many opportunities for community members to get involved and contribute. We are a unique organization and have touched many lives since the doors of Ikwe opened on January 24th, 1984. I am proud Ikwe is building on its Aboriginal focus and rapidly moving towards a culturally appropriate service framework for all women and children. I have been the President of Ikwe for several terms and I am so proud of our organization. I continue to be enthusiastic and passionate about the work our Board of Directors, Management and Staff do for all women and children who are leaving violence. Over the years we have witnessed women reclaiming their lives and building better futures for themselves and their children. Their strength renews us and feeds our commitment to support the women who reach out to us. Please take a moment to look at our programs and view our picture gallery. Our Charitable Number is available if you wish to donate to our shelter. We hope that whatever brings you to this site you find the information and inspiration to become part of the community of “women helping women” build and restore healthy, violence free families. As the Executive Director of Ikwe, I am honoured to invite all visitors to our website and to announce forthcoming exciting changes to Ikwe. On our website you will find statements for the Mission, Vision, Values and Beliefs, as well as, our Service Delivery Principles. We have also provided a brief description of our programs. Ikwe has embarked on many new and exciting changes to share with all visitors as we have undergone Strategic Planning that places a strong focus in a number of areas. Major goals to highlight will be the introduction of Trauma Informed/Medicine Wheel service delivery model that will focus on Aboriginal Family Violence: Trauma, Healing & Resiliency. To further complement our cultural service delivery format we will be providing Craftsmanship opportunities through the introduction of a “state of the art” sewing room. This therapeutic activity will allow women to utilize their natural skills towards the creation of beautiful clothing, household items, etc. Ikwe is very excited about this venture and is convinced this opportunity will be very pivotal for victims of violence as they realize their creative strengths, worthiness and re-birth of hope and faith throughout their healing journey. As an organization, Ikwe welcomes everyone through its doors and will endeavour to meet ALL physical, emotional, mental and cultural/spiritual needs of the women and children. We encourage all of you to enrich your knowledge of the work Ikwe does for women, children and families in Manitoba.